What causes Atrial Fibrillation? How is afib diagnosed? hawthorn drug interactions > what causes heart palpitations? What causes this interruption of electrical signals that results in atrial fibrillation? There are quite a few factors. For example, you are more likely to have afib if you have also had heart disease, atherosclerosis or angina (chest pain caused when the heart doesn't get enough blood). Men are slightly more likely than women to have atrial fibrillation. Additional risk factors for afib include high blood pressure, thyroid disease, diabetes, lung disorders, having had heart surgery, sleep apnea, and excessive use of alcohol, cigarettes or stimulant drugs. Also, as you grow older, your risk increases. Among people younger than 60, the incidence of atrial fibrillation is 1 case out of 200 people. Among people over age 80, the incidence is 9 cases out of 100 people. Atrial fibrillation may come and go, or it may develop into an ongoing condition. You might not notice any symptoms of atrial fibrillation at all, or you might sense an out-of-control heartbeat, pain or pressure in the chest, weakness, sweating, and trouble catching your breath. To diagnose atrial fibrillation, your doctor typically will listen to your heart with a stethoscope to detect a rapid heartbeat or an irregular rhythm. Use of a 24-hour portable heart monitor might be necessary, since atrial fibrillation is often sporadic. You also might be tested for forms of heart disease that can contribute to atrial fibrillation. An unusual consideration with afib may be EMF exposure. If you have read up on electromagetic fields, you may know that they can affect many physiological patterns. 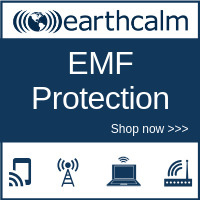 If you think you might be in a high EMF environment, if your home has a smart meter or if you have a sensitivity to electromagnetic fields, you may want to try some EMF protection products. Testing for Atrial Fibrillation: There is now an easy, non-invasive way to test for afib, without going to a doctor. The non-invasive partial ECG screening conducted by LifeLine Screening is used to detect atrial fibrillation (Afib), the common heart arrhythmia we've been discussing. Atrial fibrillation is a major risk factor in stroke so this it is vital to be tested in some way if you suspect you may have afib. Learn more about atrial fibrillation heart rhythm screening. Note from Neva: In the interest of full disclosure, I want to state that I was tested for cholesterol in a doctor's office once, and in a free clinic once. Both times, years apart, my levels were around 250. However, the only testing I had done to confirm the blockages, was muscle testing. Also, you should know that I do not go to doctors (personal decision; personal consequences) unless I have no other alternative. In this case, I had one. I got my cholesterol tested at a mobile clinic and later, found out about lifeline as a test for how well I was doing with my health challenge. I was tested by a gifted kinesthesiologist who then suggested a regimen that brought my bad cholesterol down from 249 to 200. I believe this natural regimen also cleared the blockages, as evidenced by an absense of pain and short breath and renewed ability to walk, climb stairs, etc. Still, I wanted to be sure the blockages were gone so I was thrilled to discover LifeLine Screening. They came to an area near us so both myself and my mom ordered the cardiovascular tests they provide. I showed no PAD, abdominal anyeurysms or neck artery blockages. All three tests cost only about $110 as I recall. Then, I took a home cholesterol test and my level was 200. I love that so many important medical tests can now be done without having to go to a specialist and pay the high costs of getting the same tests done in a hospital. Cardiovascular Health Disclaimer: This information is educational in nature and based largely on my own personal experience. 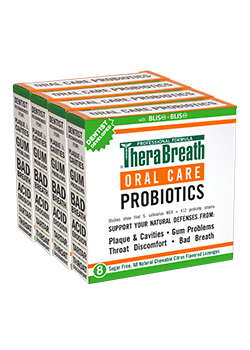 It is NOT intended to replace any needed medical attention, evaluation, testing and care you may also need.